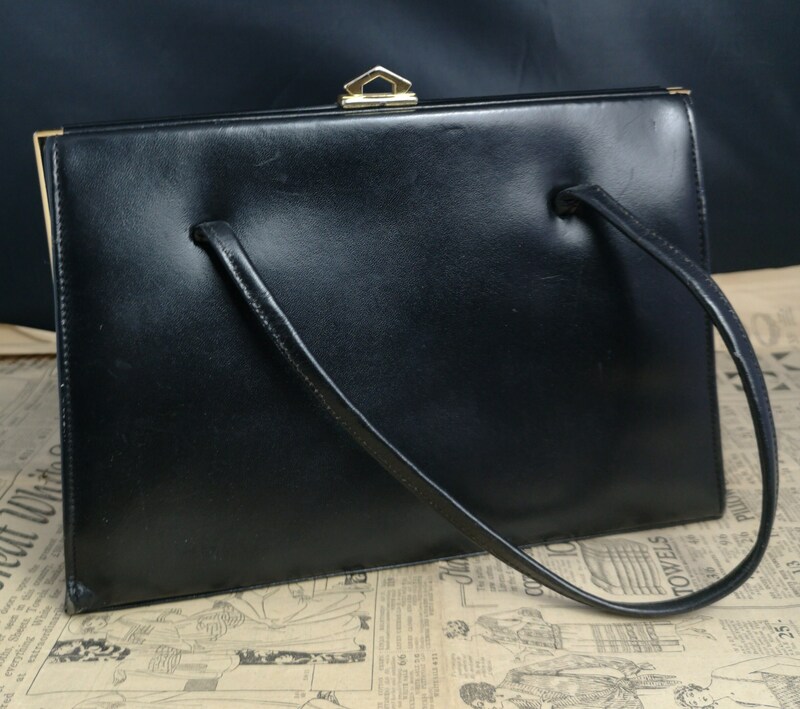 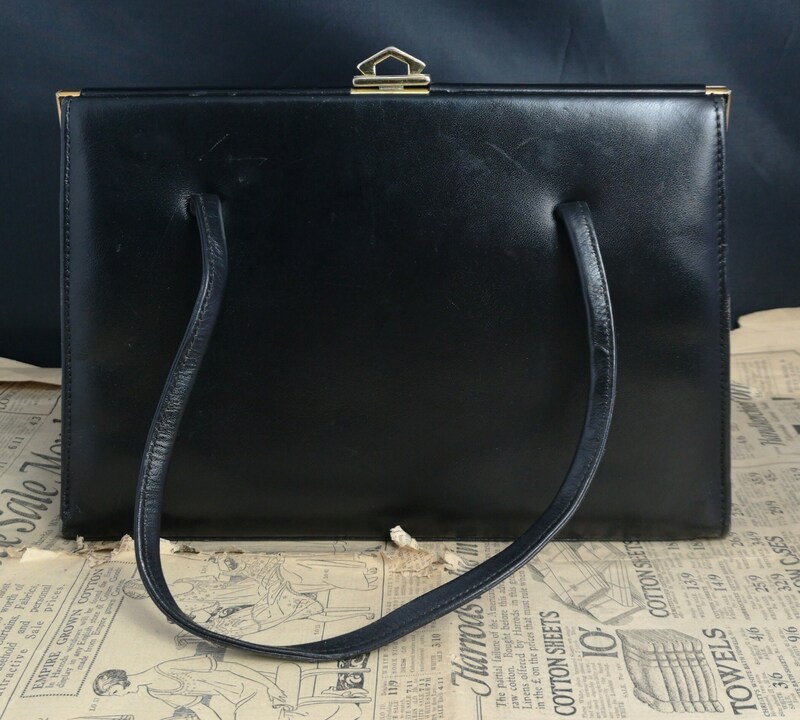 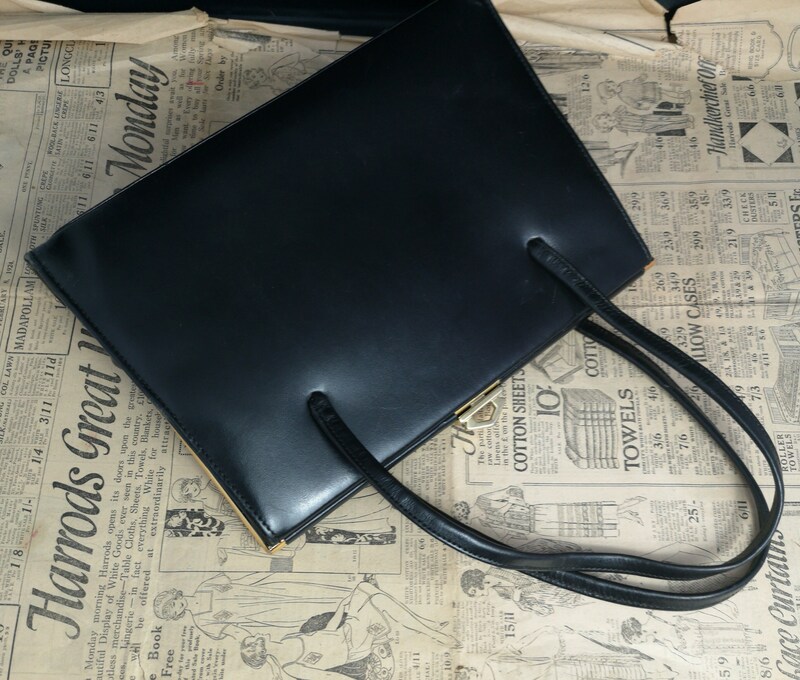 A classic vintage 1950's handbag. 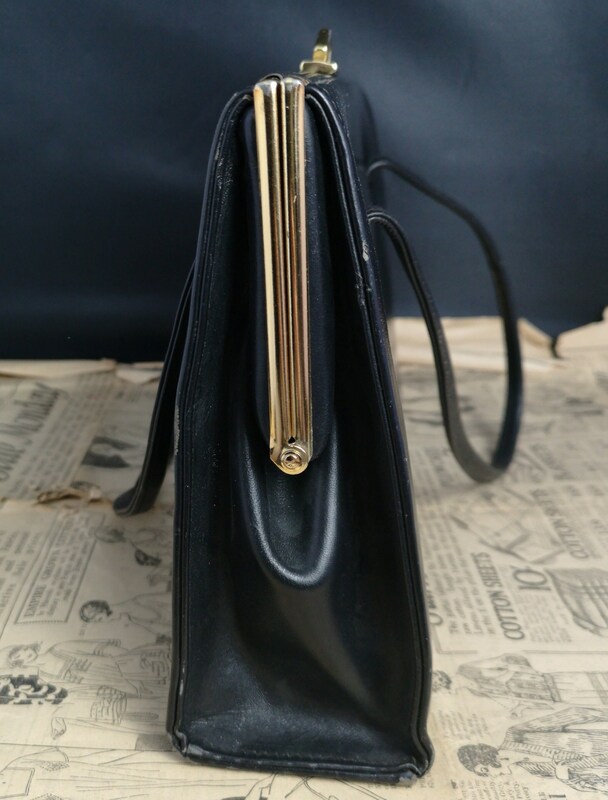 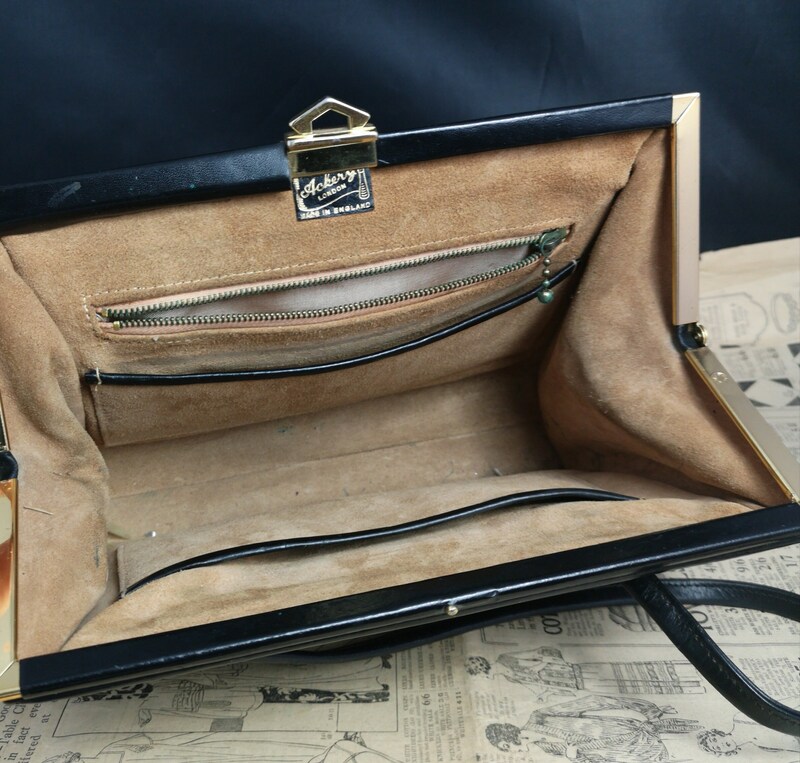 It has a classic A frame shape with gold tone metal clasp and frame, internally it is lined with a soft brown suede and has a zip compartment. 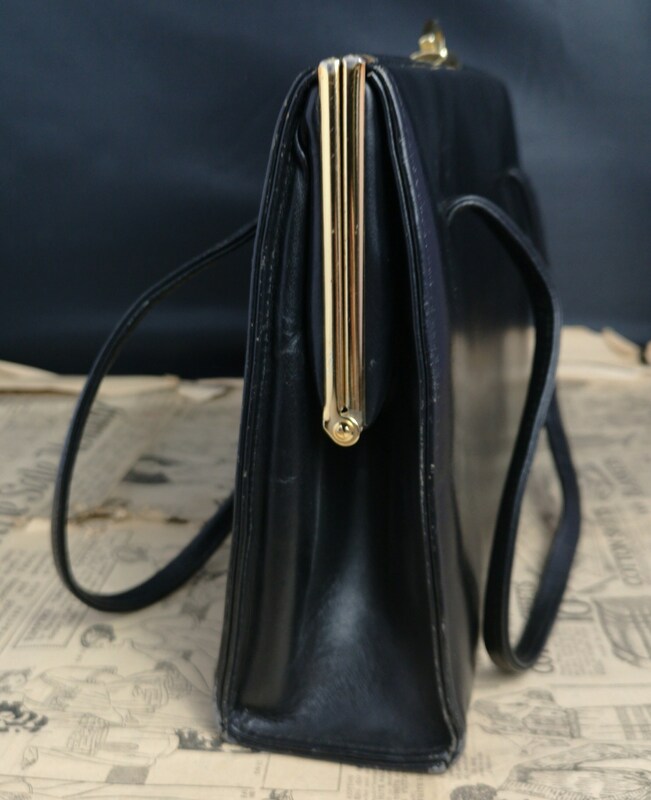 The outer is a black leather, matte but with a high shine to it. 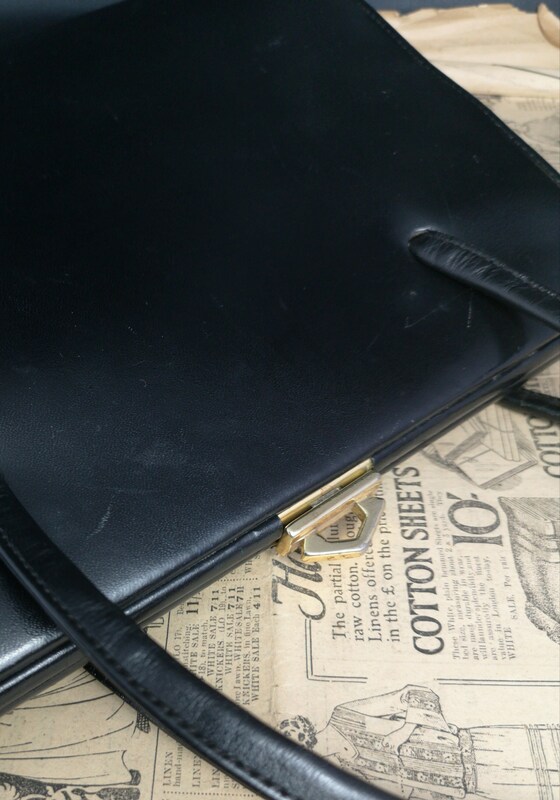 Labelled for Ackery, made in England, a renowned manufacturer. 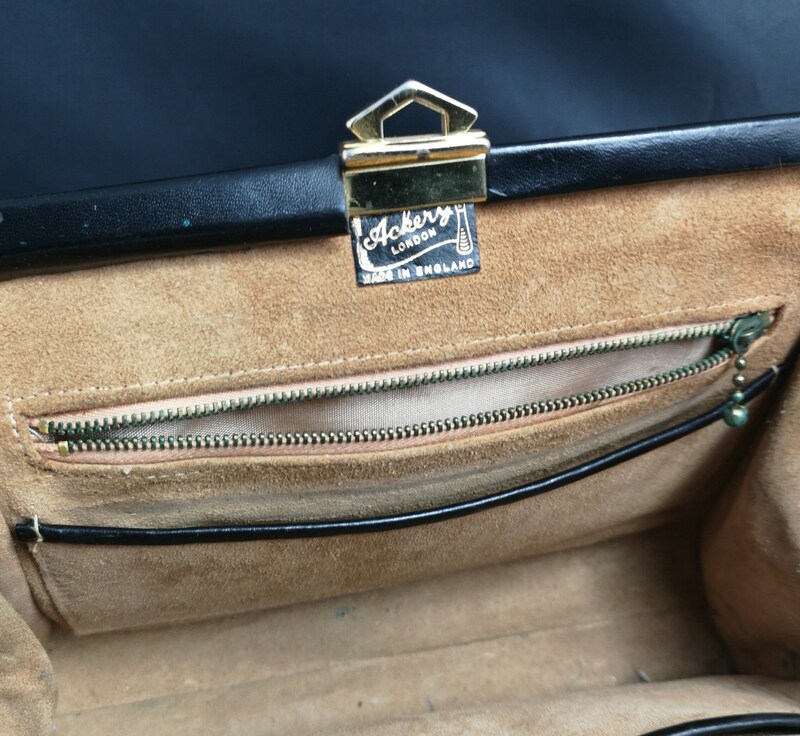 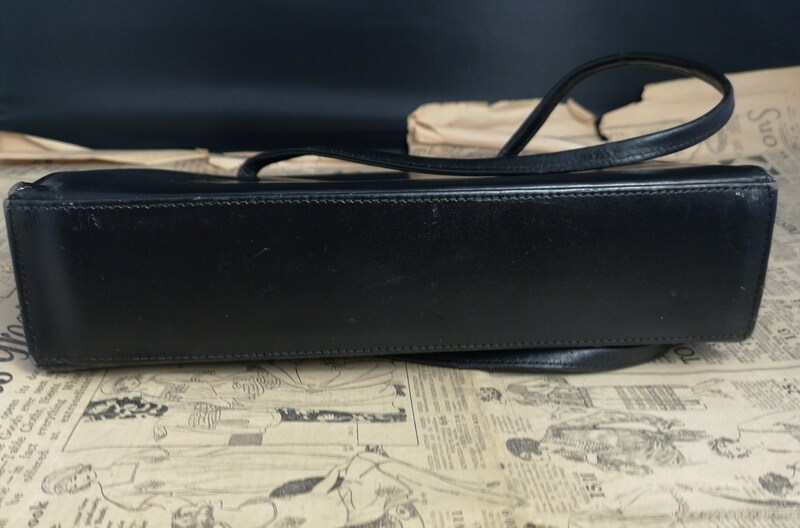 A nice classic handbag in good condition overall, some minor surface marks and a bit of wear to the handle.